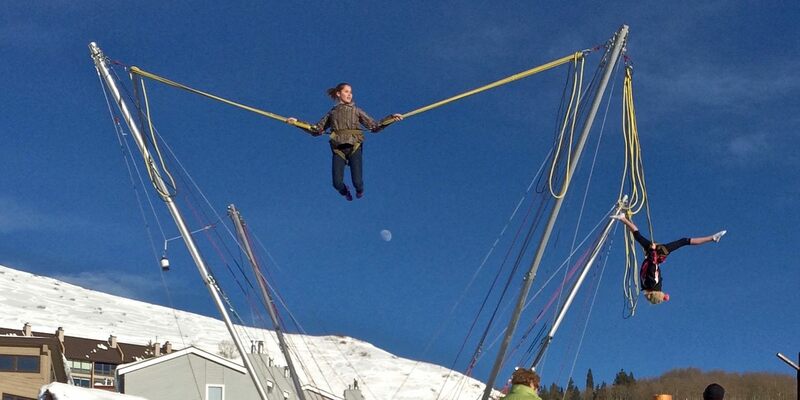 Crested Butte Mountain Resort has developed a kid friendly Adventure Park that creates a welcoming alternative to skiing. The family can enjoy mini golf, bungee trampolines, a climbing wall, tubing hill and a zipline. The Adventure Park is conveniently located at the base of the ski area, next to the Treasury Building and the Red Lady lift. The Zipline is an amazing experience that will take you zipping from 6 suspended wooden decks. Fly through aspens with pristine views of the surrounding mountains and ski area. Experienced guides will safely bring you down five zip lines ranging in length from 120 – 400 feet. This unique winter activity is $66 a day and $63 with 5 day advance reservation (all prices before tax.) It usually lasts 1.5 to 2 hours. For more information visit this website or call (970) 349-2211 .